The 9 Best Hotels and Resorts for Families in Louisiana! It’s time to plan a vacation with your family in Louisiana. 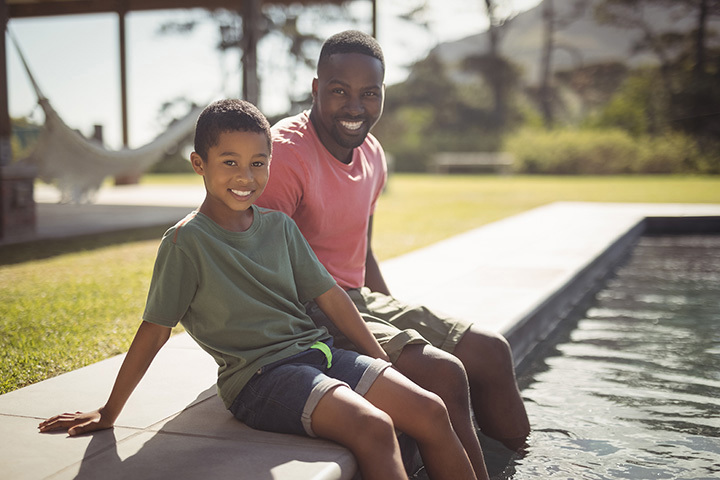 Whether they have exciting amenities like pools and Jacuzzis or they’re in close proximity to zoos and museums, the great family-oriented hotels and resorts of Louisiana will satisfy the whole family. Here are our favorites. Rich in history, the grand Hotel Monteleone in New Orleans, Louisiana, is everything you could hope for in a luxury vacation resort for your family. Clean and comfortable, you’ll find this beautiful example of southern architecture deep in the French Quarter of the city, where it has represented 5 generations of the original family owners. The hotel has seen many changes over the years, and is one of the few hotels in the country listed as a literary landmark. Another unique and curious honor bestowed on Hotel Monteleone is that of being one of the most haunted luxurious places by an international paranormal research organization. The hotel has been featured in movies and on television many times. You and your family will feel like royalty in any of the 570 rooms, each with its own unique décor. The Carousel Bar located inside the hotel is the city’s only rotating lounge and a great place to hear local jazz. There are many sightseeing opportunities within walking distance, but you can also arrange for pick up for any of the great sightseeing adventures in the area. The Roosevelt has been a favorite with visitors young and old for over 100 years, and is located in the French Quarter of New Orleans. With 5 restaurants and lounges inside the hotel, you can also order in-room service. You and your family can enjoy the onsite spa and the roof-top pool, or make use of the fitness center. Local attractions include live music events, museums, art galleries, antique shops and boutiques, and botanical gardens. Younger family members may enjoy the zoo, aquarium, amusement park, and two children’s museums. Leave the hustle and bustle of the city and come to the heart of the bayou at Grand Bayou Resort. Located in Coushatta, Louisiana, you can choose 1 of the 5 cabins around the lake or stay at one of the eight lodges around the Grand Bayou Reservoir, one of the best fisheries in the state. Boating, fish, and all kinds of water activities are available for your enjoyment. There are over 2,800 acres to explore for a weekend or longer. You can do everything or nothing; it’s up to you. Located on the Mississippi River not far from Baton Rouge, you’ll find the largest antebellum mansion still standing, Nottoway Plantation. This 53,000-square-foot Greek and Italianate-style mansion survived the Civil War and has been converted into a resort for the world to enjoy. There are rooms in the main house, the carriage house, and the cottages on the property, all with modern conveniences and amenities, and there’s staff available 24 hours a day to answer any questions or needs you have. Self-guided and guided tours can be booked to see all the property, and Le Café, once the warming kitchen for the original family, is open Thursday through Sunday with some of the best food in the area. Everyone at Wildwood Resort in Zwolle, Louisiana has the same goal at heart—to help you and your family have the best and most memorable vacation ever. There are over 40 acres to enjoy with six ponds stocked with fish, paddle boats, kayaks, and fishing boats available, four swimming pools, volleyball, badminton, tennis and basketball courts, and a great area to ride bikes. If you like hiking, you can do that here, too, and there are many places along the trails to see local birds and small animals. As part of the resort’s efforts to encourage fun, they have an Adventure Camp for little ones aged four and up in the spring, summer, and fall. Whatever you’re looking for in family fun, you’ll find it here. Lake Juneau Safari Resort is like no other family vacation you’ve taken. This 1,500-acre nature preserve comprised of Louisiana swamps is located in Moreauville in the heart of Louisiana, and will give you and your family the most unique hands-on outdoor experience. You’ll learn first-hand about the animals, birds, reptiles, and plants that live there, and a few more surprises. With over 65 different kinds of animals roaming around the preserve, you can stay in one of the four treehouses for the night, each carved out of a cypress tree, but all with modern amenities. Or you can stay in sky tents built 20 feet up and elaborately decorated. And if you want more lodging choices, there’s a fully prepared 2,000-foot Acadian home for rent, a 9,000-square-foot lodge with four guest rooms, and an African village. Fishing piers and boat docks, trails for hiking, a petting zoo, and horseback riding will keep you busy for the length of your stay. And you’ll learn more about the sustainable preserve and the animals we’re charged to protect. Located on the Red River in Bossier City, Louisiana, DiamondJacks is your family’s home away from home. You can stay at the hotel and enjoy free Wi-Fi and whirlpools in one of the 400 rooms, pool, arcade, and fitness center, or if prefer, there’s an RV park. There are four restaurants on premise that offer great Cajun food so you’ll never be hungry during your stay. If you’re looking offsite for interesting things to do, there’s an outlet mall, Barksdale Air Force Base, a petting zoo, zip line adventure, and live gators at the nearby Gators & Friends. Fun for all ages! Berry Creek Cabins in Bogalusa, Louisiana may not have the glitz and glamour of downtown city hotels, but their first and foremost goal is to give you a great experience away from your busy life and in the midst of some of the most scenic and beautiful areas of the state. Imagine staying in a rustic cabin with towering oak trees above and serene lakes perfect for getting to know each other again. Cabins can accommodate up to 12 people, and there are many outdoor activities from which to choose. Originally built in the mid-1800 in the American Zone of the French Quarter of New Orleans, this Creole palace was built for luxury. Legend has it that this is the place where gumbo was created, and the term “free lunch” was inspired here by the meals given to workers. Many things caused change over the years including the Civil War, but the hotel is now a world-class establishment boasting 345 modern rooms with every convenience for a pleasant and peaceful stay. And for the young ones, there’s the Omni Kids Crew program that gives each child a backpack full of activities and fun items to make their stay enjoyable.